Provides superior visibility and 1,000 lbs break strength. 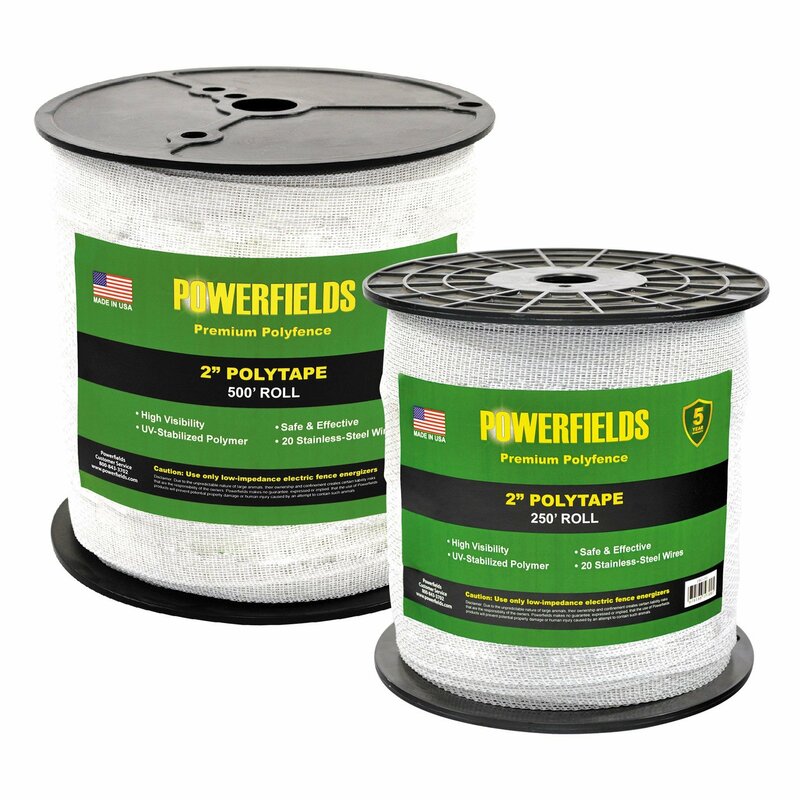 20 strands of 12-mil stainless-steel wire and 43 strands of 20 mil, UV-stabilized polyethylene create the most durable polytape available. Splice Buckle join rolls of polytape or repair torn polytape in minutes. For use with wide Polytape.